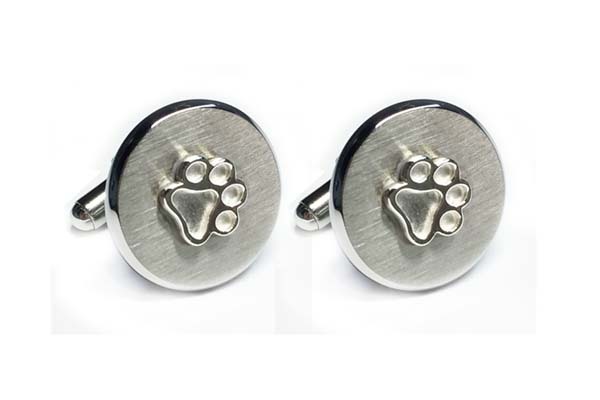 A set of brushed stainless steel cuff links with tiny sterling Puppy Paws®. So many colors available for these adorable stainless steel cuff links. The cuff links are stainless steel & the Puppy Paws® are sterling (available in gold too).